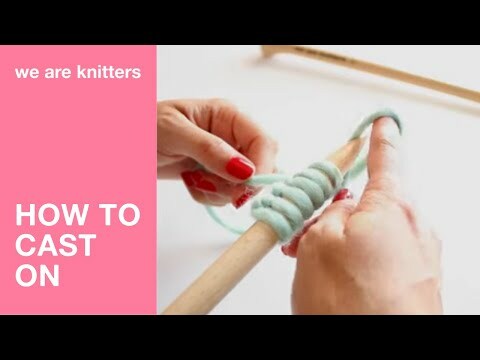 Wrap the yarn around the right-hand needle from the bottom toward the top.Slide the right-hand needle back and through the gap under the stitch, pull the tip of the right needle out from under the left-hand needle and slide the stitch off the left-hand needle. You now have your first purl stitch on your right-hand needle.Insert the needle into the next stitch from back to front, wrap the yarn around the needle, slide the needle, and drop the stitch. Repeat until you’ve purled all of the stitches on the needle. When you finish the row, place the needle with the stitches in your other hand and begin again.